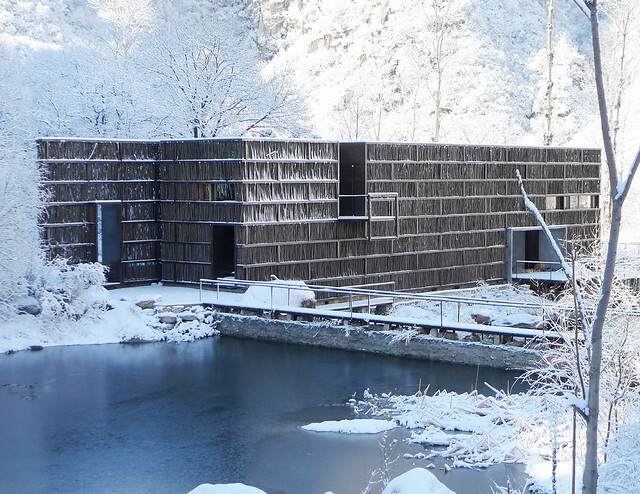 A modest library on the outskirts of Beijing, China, designed by architect Li Xiaodong, won the inaugural Moriyama RAIC International Prize in 2014. The Liyuan Library, which opened in May 2012 in the hillside village of Jiaojiehe, provides a public amenity for the local community, serves as a vibrant hub of knowledge exchange, and has stimulated economic development. The construction budget for the 175-square-metre library was CAD$185,000. “This project is about the relationship of a building to its surroundings and its role in serving the community, rather than a building as a discrete object,” Li wrote in his submission statement. “It is a lovely object in a dramatic landscape, a wondrous thing to use and be in,” the jury said. “We need more of these types of perhaps modest, yet powerful buildings which make architecture from a deep understanding of people, culture, context, site, materiality, and light,” added Jury Chair Barry Johns, FRAIC.